Is the tide changing for active value managers? This article was first published by Glacier Research’s Funds on Friday on 3 August 2018. For the past decade, investors in the South African equity market would have done well by simply focusing on high-quality, momentum stocks and avoiding value and smaller-cap stocks. However, Ricco Friedrich, Portfolio manager of South African equity portfolios at Denker Capital, explains that for active value managers, the tide may be turning. Over the past five years, a tough South African equity market has challenged active value managers. In the recent past, you only need to have made two correct calls in the South African equity market. This is because returns have been concentrated in very few stocks, with Naspers and rand hedges outperforming the market. Global stocks on the JSE have also outperformed domestic cyclical companies by almost 50%. Since active managers generally look for opportunities outside of the large cap space, the concentrated level of returns in a few large cap rand hedges has made it difficult for active managers to keep up with overall market returns. The cumulative effect of declining GDP growth can be seen in the returns of a group of equally weighted domestic cyclical shares, which have significantly lagged the returns from global businesses listed on the JSE. 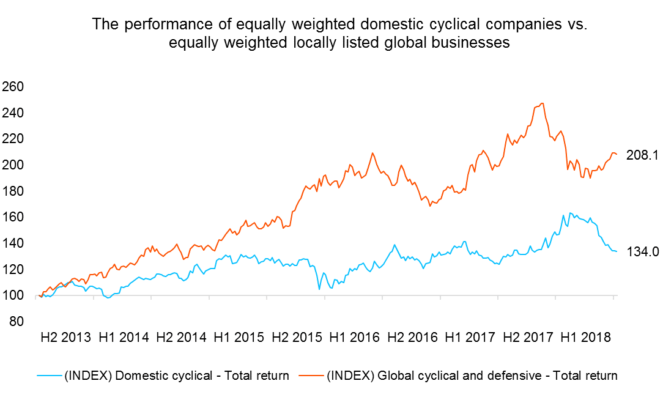 Over the past five years, R100 invested equally in a portfolio of global stocks listed on the JSE has outperformed R100 invested in a basket of domestic cyclical companies by almost 50% (as shown in Figure 1). We believe the potential recovery in active value investing is currently the best contrarian opportunity. 1. Value tends to outperform growth when global interest rates head higher. While interest rates are falling (as they usually do during tough economic times), investors tend to overpay for the prospect of slightly better growth. This results in expensive stocks becoming even more expensive and investors paying too high a premium for growth. In contrast, when economies are expanding, and interest rates are rising, the growth premium shrinks. This is a good environment for value. Since 2016, and for the first time since 2007, we have seen global interest rates rising steadily (led by the US). This is supported by improved global growth, which has absorbed excess labour and capital over the past few years – resulting in lower unemployment rates and rising inflation expectations. The tendency of value to outperform in an environment of rising rates is evidenced by the relative performance of global growth and value indices. During the last period of rising interest rates in the US (March 2003 to June 2007), the MSCI World Value Index outperformed the MSCI World Growth Index by an annualised 4.4%. When interest rates declined between 2007 and July 2016, value underperformed growth by an annualised -4.7% (based on the same indices)¹. 2. Economic growth creates investment opportunities. Macroeconomic context matters. Value does well over the long term, but not when earnings are scarce. 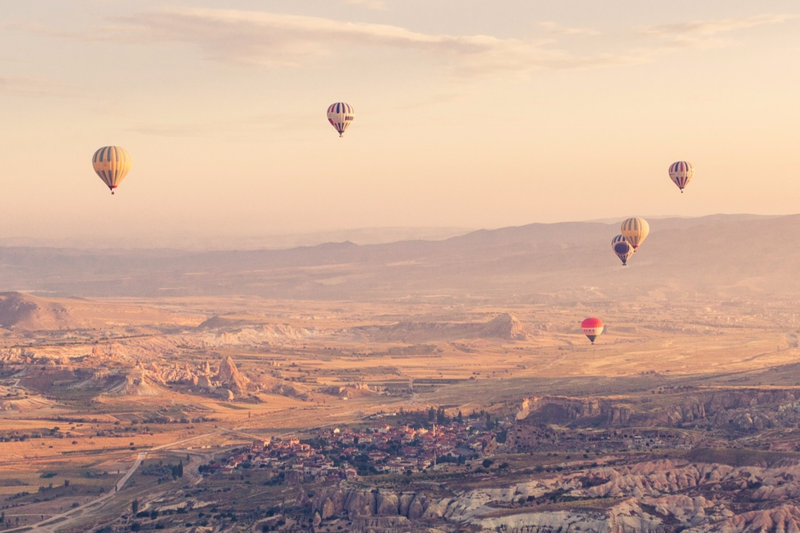 As economic growth recovers and the opportunities to choose from increase, active value managers and investors should find the tailwinds supporting better relative returns. The change in political regime brought about by the election of a new ANC president is the best opportunity we have to rebuild our economy and get growth back above 3% per year. South Africa is in the early stages of a turnaround and getting the economy growing will be no easy task. While many investors and market commentators think that it could take up to 10 years to fix the mess, a change in GDP growth from a declining trend over the past 10 years to an improving one will create great opportunities. There are a few green shoots, but it will take time to right the wrongs and reverse the flight of skills and capital that have choked growth. Most of the business leaders we speak to agree that the prospects are better than they have been in a while. Improving growth will provide a tailwind for domestically focused businesses (including many smaller caps, which severely lagged market returns in 2017). In addition, many of the better quality local businesses have continued to look for top line growth opportunities while maintaining a tight rein on costs. These companies are well poised for any uptick in spend. Take Combined Motor Holdings as an example. This is a quality company run by quality people, and despite depressed vehicle sales the company has managed to almost double its headline earnings per share over the last five years. They didn’t achieve this by venturing offshore and wasting shareholder capital on expensive acquisitions. Instead, they invested in their existing business, becoming more efficient and widening their competitive advantage. There are many more companies like this in South Africa. 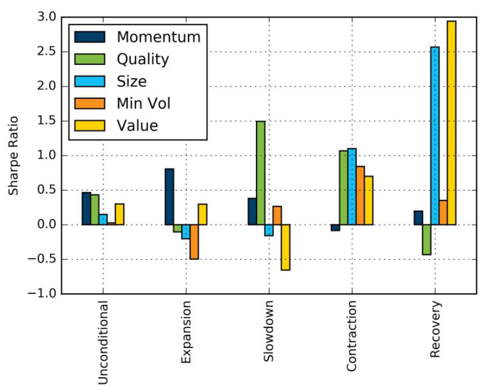 In a December 2016 research study called Factor Timing with Cross-Sectional and Time-Series Predictors, authors from BlackRock Investment Management (UK) Limited found that different factors tended to outperform according to different stages of the economic cycle, as shown in Figure 2 below. Periods of economic recovery tend to favour both value and smaller caps (the size factor). 3. Valuations are currently extremely attractive. Overpaying for the promise of future growth can result in disappointing returns. As a result of the severe underperformance of value-orientated stocks (which has largely been concentrated in domestically focused business), the relative valuations are very attractive at the moment. 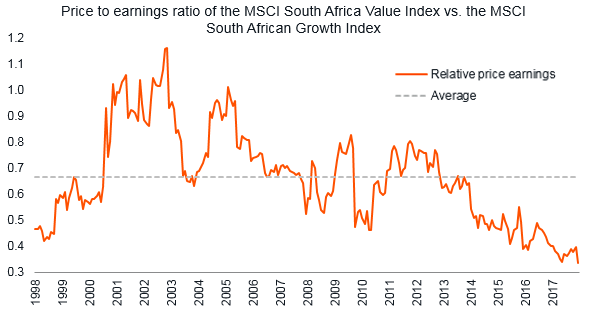 Figure 3 shows the large valuation gap that exists between value and growth stocks in South Africa. It is the largest on record! The changing tide for value stocks means that a diversified portfolio will benefit from exposure to value. The current local and global economic environments strongly support a recovery in value stocks. We believe this turnaround offers an attractive contrarian opportunity. This means that, despite value being ignored in recent years against the backdrop of a tough local equity market, a well-diversified portfolio that will deliver good returns irrespective of the macroeconomic outcome will benefit from exposure to value stocks going forward. ¹ Annualised returns are returns for a period that are scaled to one year. Source of these returns: Bloomberg, 29 June 2018. Sanlam Collective Investments (RF) (Pty) Ltd (SCI) is a registered and approved Manager in terms of the Collective Investment Schemes Control Act. SIM stands for Sanlam Investment Management.